Olds captures the very spirit of the Rocketing sixties was how the sales literature promoted the fresh new cars for the new decade. 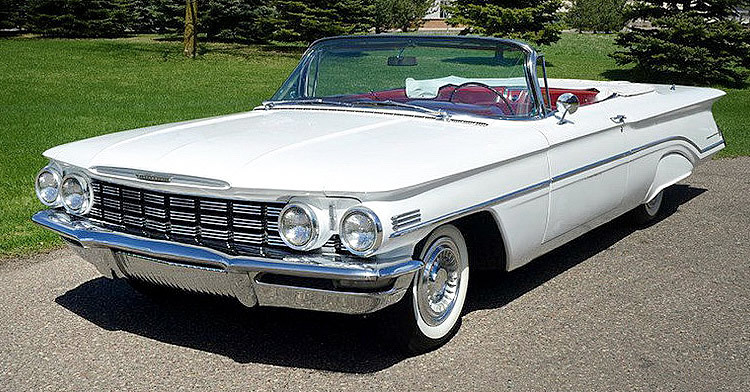 It's hard to believe but this 1960 Oldsmobile Dynamic Eighty-Eight Convertible in Provincial White paint was part of a line-up that was originally promoted to the economy minded, offering a new balance of power and economy. Although based on the 1959 models the 1960 Oldsmobiles received such an extensive alteration they looked completely new. The parking lamps were moved from between the headlights into the bumpers and the more radical tailfins were gone producing a very large and flat trunk area. 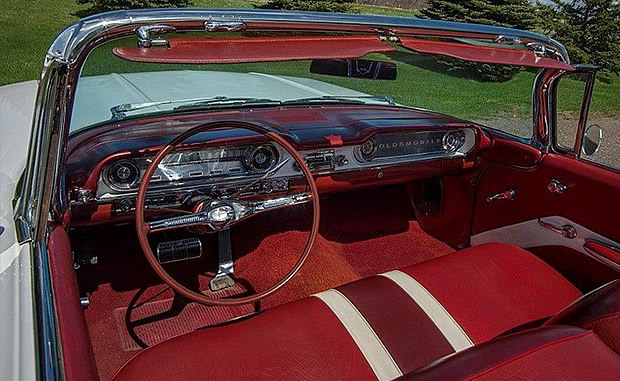 The interior is Tri-Tone Bronze Morroceen (another name for vinyl) seats and the "twin-cove" instrument panel was all-new for 1960. The transmission tunnel was also made smaller this year for improved interior space. That speedometer is color-keyed too. A bar changes from green to amber at 35 mph and then red at 65 mph. Of limited use really but pretty cool! 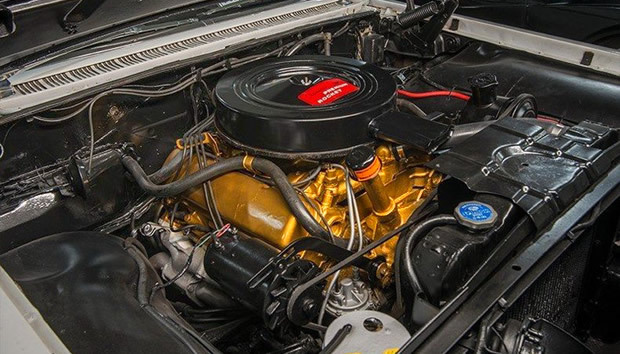 Power comes from a 371 cubic inch "Rocket" V8 with 2-barrel carburetor outputting 240 horsepower. This is paired with a Hydra-Matic automatic transmission which would have cost an additional $231 when the car was new as the car came with a 3-speed manual as standard. As an entry level Oldsmobile the Dynamic Eighty-Eight doesn't come with lots of extra features. However, plenty of extras were available as options. Oldsmobile produced 12,271 Dynamic Eighty-Eight Convertibles for the 1960 model year at a base price of $3,284. This particular car is fitted with power steering and brakes, a padded dash and AM radio. Beautiful Car, I’d drive it anywhere ! !